Q. When does the statute of limitations run out on summarizing the top five posts of 2017? A. When this post is finally completed. Sharpen my Google Analytics skills (which are woeful). #5. The Forrester Wave™: eProcurement, Q2 2017. As always, the lure of free access to Forrester or Gartner assessments of markets is a powerful draw. This is a testament to Forrester and Gartner’s marketing (and your desire for something free). Forrester and Gartner really have built impressive brand names. 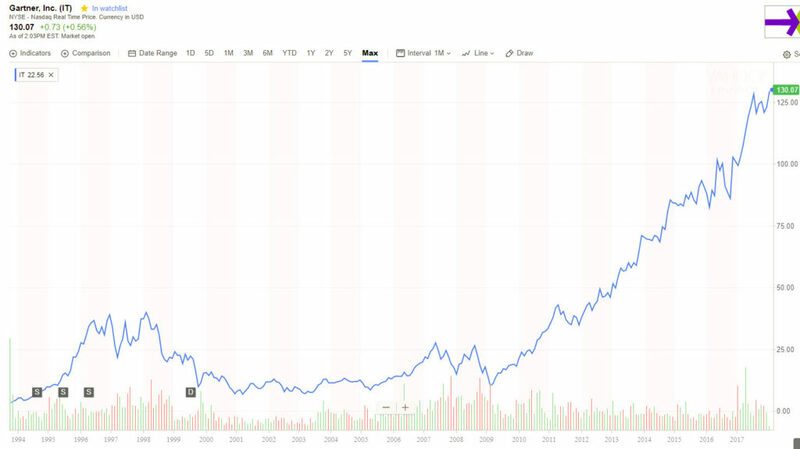 Maybe I should have bought Gartner stock during the post-bubble era? Gartner’s stock is only up 5x since the market low in early 2009! #4. 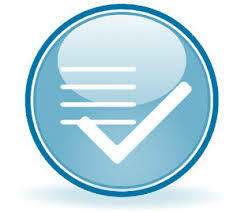 Gartner Magic Quadrant for Strategic Sourcing Application Suites. See above. #3. Bessemer Venture Partners’2017 State of the Cloud Report. More free stuff from one of the most respected names in venture investing. People like to see their names in articles on the Internet. There a lot more people I did not know or failed to mention, that should have been in that post. It was an extraordinary time and group of people. I mistakenly left the impression that only the alumni of Ariba were worthy of admiration and that is not the case. There are some awesome people who have stayed with SAP Ariba. But the point of the article was to “compare” Ariba alumni to PayPal alumni. 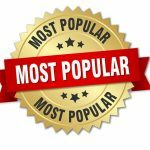 In case you missed them the first time around, here are my seven most popular posts of 2016. Procure to Pay, Marketplace Take Rates, and humor dominated.